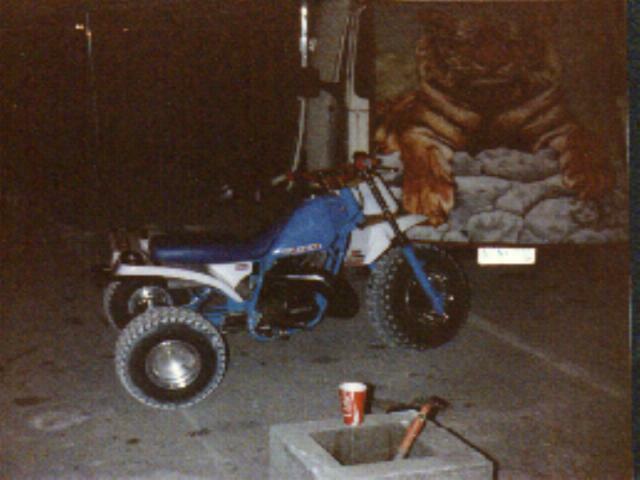 Factory Racers, We have some pictures of some highly factory modified threewheelers. 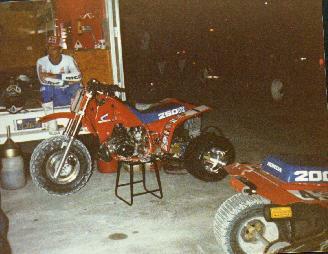 Including a Racing Tecate-3, an Racing ATC250R, and the one and only ATC200R! Thats not a typo for 200X either! 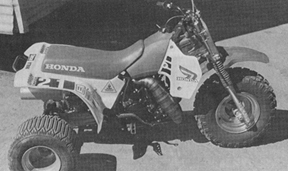 Theres the ATC200R, a 200cc 2 stroke based mainly on the 200X chassis geomtry with a MTX200 dual sport engine. 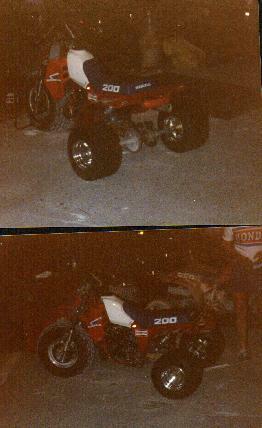 Heres another picture of the 200R. Heres Honda's Factory setup to race ATC250R, doesn't look to stock heh. 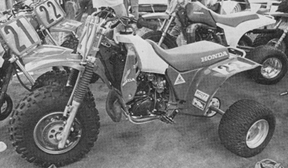 Heres Honda's Racing 200X, I wonder how it compared with the stock 2 strokes once Honda squeezed all the power out of it? A Tecate setup to race, all I can say is wow, I know that thing flew! Thats all there is folks, but if you have any info on other ones please email us. Any information would be excellent.